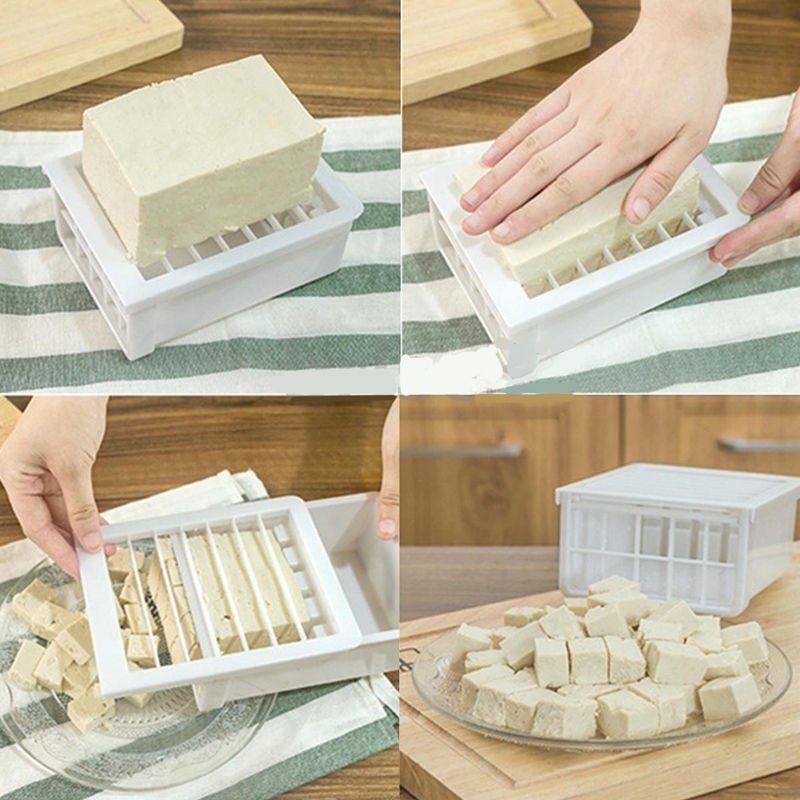 Easily, conveniently, and consistently cube your tofu! 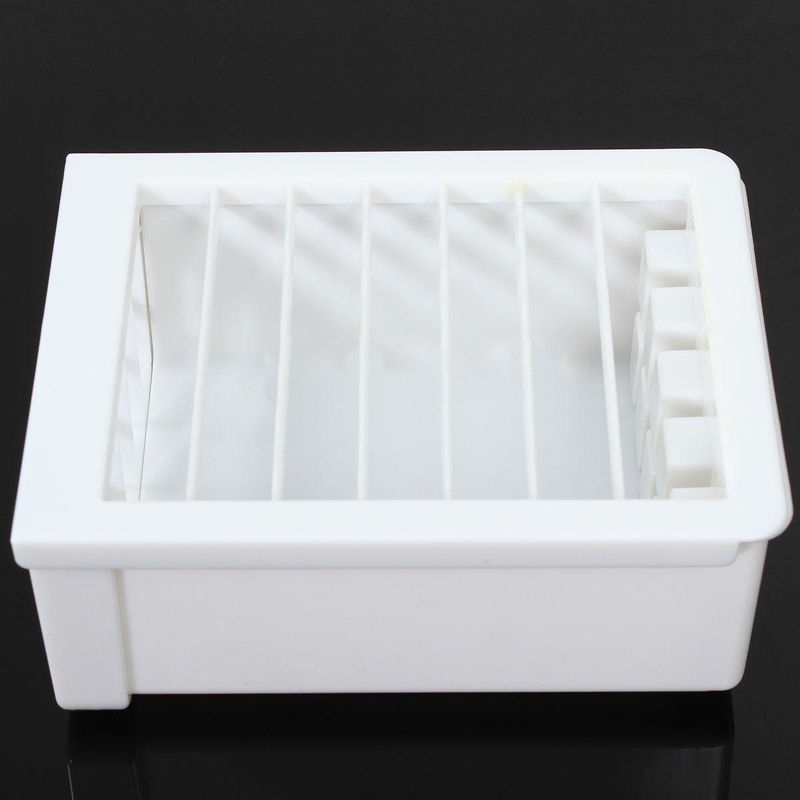 Press the tofu in with your hand, then pull the tray out for the final cut. 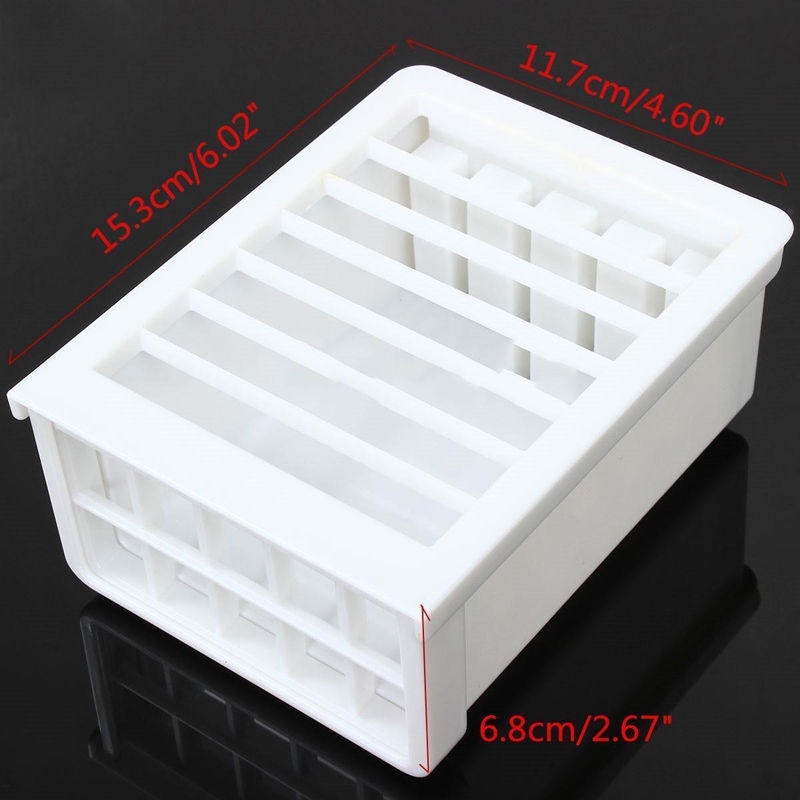 The grid shaped, plastic dividers slice your tofu into perfect squares. 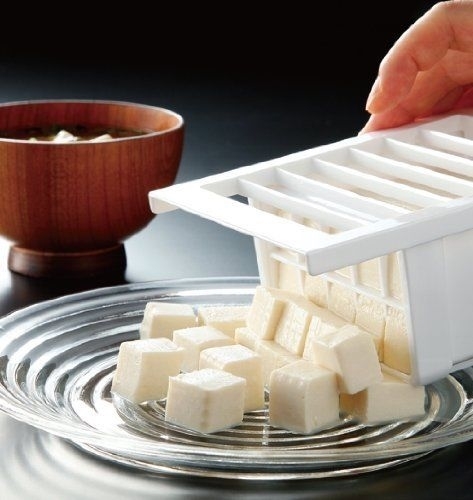 Sharp enough to cut tofu, but not your hand! 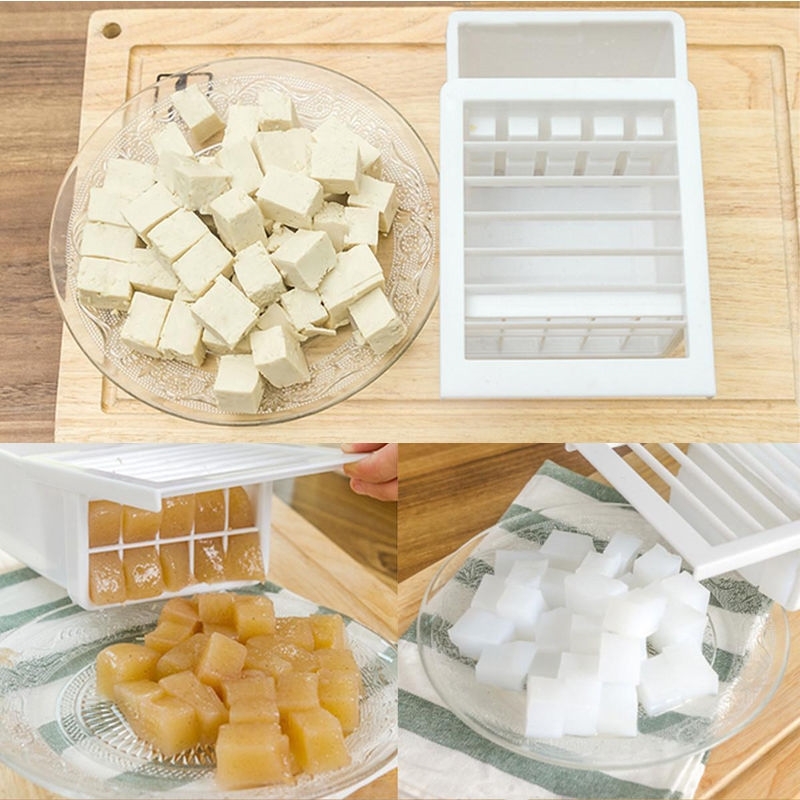 This tofu cutter is also a convenient way to cut brownies, soft cheese, and more. 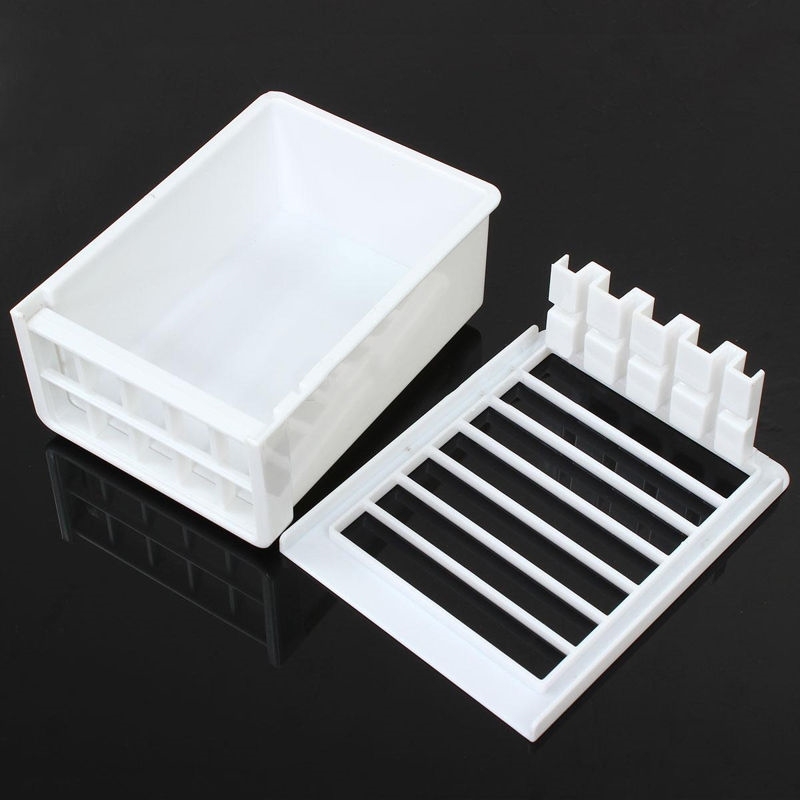 Made of durable, food-grade, plastic and is dishwasher safe. Wash before using.